Many fans at the Coventry September 6th Shoot Out Round were impressed with the way in which the driver of a Mat Newson hire car numbered 216 attacked his five “hot laps” prior to the meeting proper. That the driver had raced before was not in doubt but the Coventry tannoy could only inform us that he was an American. This was just not enough information – a visitor to our shores from the USA prepared to take on F1 Stock Car racing, and not just in any old race, but a World Final, deserves much wider appreciation and thanks to the wonders of technology and the goodwill of the people involved, I have gleaned some facts about the 216 pilot which may interest stock car folk. 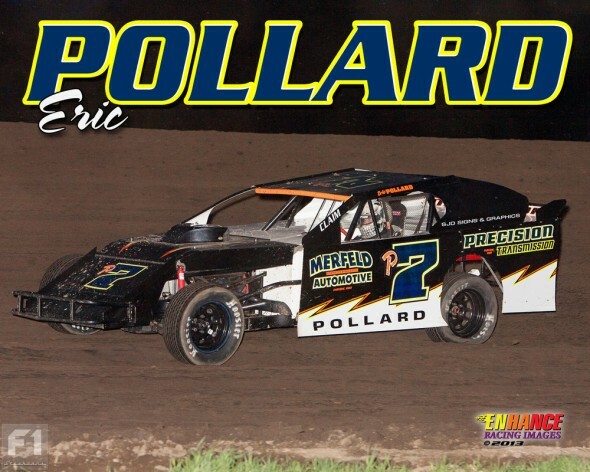 His name is Eric Pollard, and he originally came from Dubuque, Iowa USA. Eric is currently living in Lostock Gralam, which is about halfway between Northwich and Knutsford in the 51st state of Cheshire, where he lives with his wife Abbey and their two children, Adyson and Avary. He is employed as a mechanical engineer at Husco International, which, the internet sprites tell me, is a company based in Waukesha, Wisconsin but who have global interests and, luckily for Eric have an establishment in Runcorn. 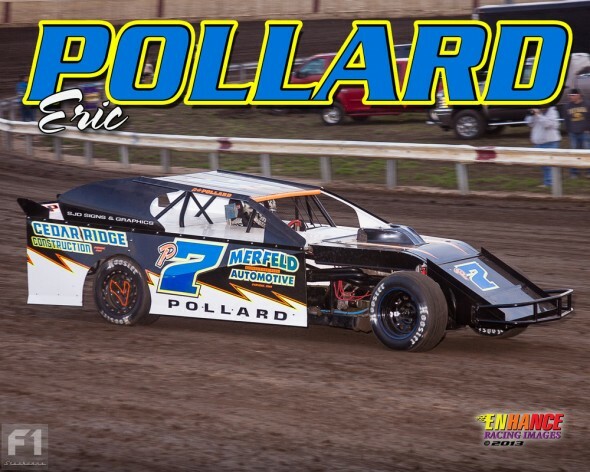 When Eric and the family return to America next summer he will be moving up to IMCA Late Models, racing throughout the Midwest. Abbey has kindly sent me some photographs of the Modified Eric raced back in the States – wonder what he thought of the UK Modifieds on the bill at Coventry? A lot of fans at Coventry were very impressed with Eric’s 5 lap pre-meeting “test drive” and the way he attacked the racing – will he be using the same Mat Newson car in the World Final? Eric realized it was the only practice he was going to get that would allow him to use the entire track without any other cars on it so he made the most of it. It was his one chance to try and see how the car handled even though it was pretty wet. Yes, Mat will be providing his hire car for Eric to drive at the World Final. I know he has only done one meeting so far – any plans to get some practice in before the World Final weekend – I’m guessing not given that you are in Cheshire and Mat is in Norwich? No plans for any practice prior to the World Final as Mat has a lot of preparation work to complete for himself and the others cars he is currently working on. Any thoughts from Eric and the family on Brisca Stock Car racing? British stock cars have travelled down a different road to their USA counterparts – what does he feel about the contact element of our racing? British Stock Car racing is definitely entertaining! You cannot take that away from it. The racing style is different in many respects. In the USA the dirt tracks are often clay. The clay provides a fast surface with a lot of grip. The suspensions are setup for this type of track giving the race car a “tighter” feel which is why you often see the car “hiked up” as it goes around the track often having the Left Front wheel off the ground. The cars in the USA usually turn better when they are under heavy throttle. The contact element of the British Stock Car racing is an art form. Eric realized very quickly he needs to learn how to take a hit so he doesn’t lose a lot of track position or spin out. Likewise, he needs use the bumper to move through the field on such a tight race track. The above probably explains why Eric was throwing the car sideways under full throttle at Coventry! 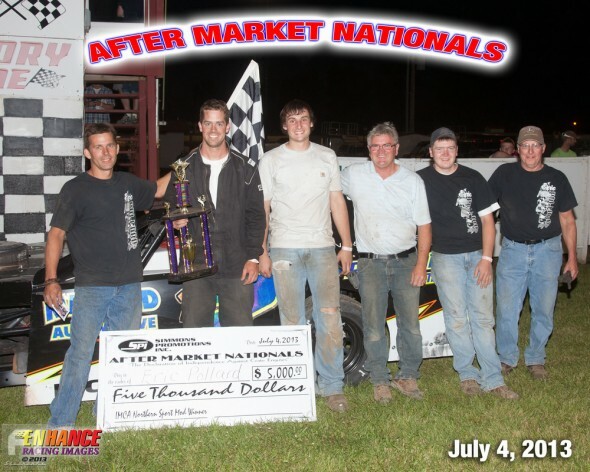 My sincere thanks to Anita Newson for putting me in touch with our American Racer and of course, many thanks to Eric and Abbey for taking the time out to provide me with the facts and photos. I am sure all stock car fans will join me in wishing him the very best of luck over the World Final weekend.